Vera Sighting at Cycle Fest in Reston, VA. We have a table for Bike MS, if you are in the area come say hi! Look what I have! The Fall 2011 Preview Pictures! I even made a slide show on my new computer!!! Go me! I hope you like the winter patterns. I loved two of them, but I will post more about that later. For now, just enjoy the slide show! The Winter 2011 colors will be in stores September 22nd. Now through May 8th you can get a Vera Bradley Mother's Day Bracelet for $28. It is available in all four summer colors. They are pretty cute, but I dont think that I would be able to pick a color that I would wear often enough. They would be fun to wear this summer though or in the winter when I am wearing a not so fun sweater. And maybe I am just being cheap, I but dont feel like spending $28 on a bracelet. Super cute though! So a lot of you probably took advantage of the Rue La La offer of $20 for signing up. I just wanted to remind you that your credit is only good until May 25th, so you only have a month to use it. I dont know if it gave you the option to sign up for emails when you created an account, but you can get a weekly email from them with all of the brands they are offering that week. Today and tomorrow they have Tom Ford, Pikolinos, Mary J Blige Concert, "Jewelry we love," Thomas Dean, Rue Style Report - Shades of Grey, Tea Forte and Waterfall Resort in Alaska. They also have some good ones coming up on Friday that I thought VB fans might like Ann Klein and American Girls. I have never seen an American Girls boutique, but in the preview it shows the outfits they make for girls...I wonder if it will include dolls too. So happy shopping to all of you that have the $20 credit. Dont forget to login and see what boutiques are being offered. The Easter bunnies at the White House were carrying something in Pinwheel Pink this morning on the Today Show. I am visiting my cousin Rachel and her husband Greg in Princeton for Easter. I have had a few VB sightings, but this is the one I could get closest to. We also walked through campus since Rachel finished up school here. Happy Earth Day! I was going to switch up to a green bag today, but most of my bags are still in California. I miss my bags! 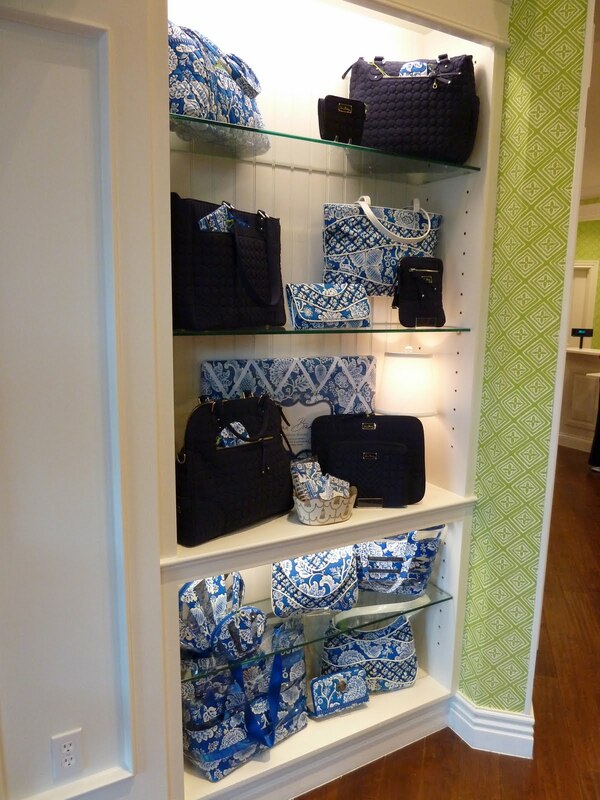 So I will just have to go with my Twirly Birds Navy Pleated Tote that has been my staple since I got out here. Well in case you havent noticed today, VB released a couple new collections today. Frill, City Look and Criss Cross. 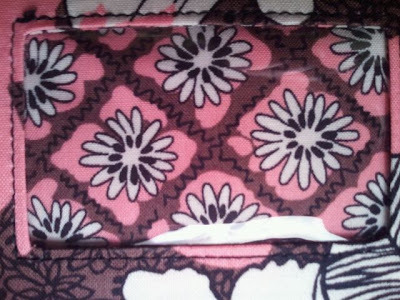 I know some of you would love to see the inside prints for the Fall 2011 bags...well get excited because here they are! One of my great readers sent me these pictures to share with all of you! I am still really loving these fall colors! I will not be getting anything from the Summer, just so that I can get something from the fall. I can't wait! I git invited to be part of a blog hope by Homemaker on a Dime. It is a party for all kinds of blogs, mostly crafty ones, but she also invited some other bloggers...I think that my blog falls under informative. :) So I linked up my Fall 2011 Preview post. Take a swing by the blog hop and check out some other fun blogs! CLICK HERE to start! If I post 3 times in one night, does that mean I get to take 2 days off? :) There just seems to be a lot to blog about today. Next up is the Summer 2011 Frill that is released this Thursday - April 21st! Some of you have been asking me questions about it and I havent really been able to answer them, but now we all have more information. Check out Inside Stitch for more information and a chance to win a new Frill bag! Right now they will give new users a $20 credit if you sign up by April 25th and use it by May 25th. $20 free! 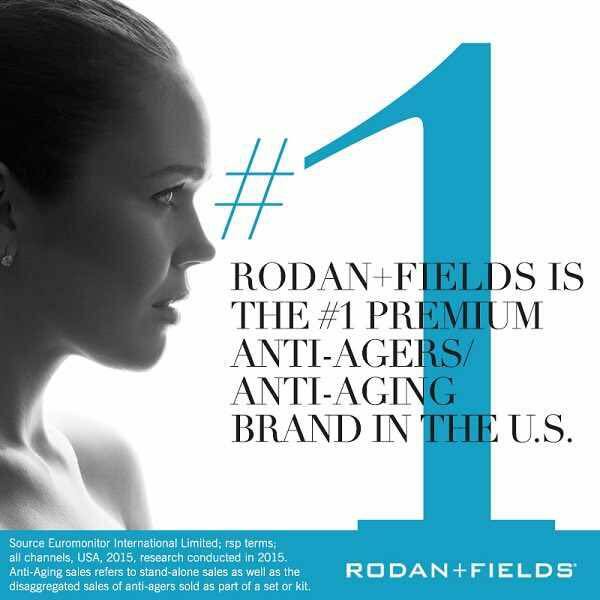 Also once you sign up you can refer your friends and will get $10 if they sign up and purchase something. It is a lot of fun to look through their boutiques. They have something for everyone. So sign up and check it out, I mean you have no reason not to check it out, they are going to give you $20 to shop! Mother's Day is right around the corner...Sunday, May 8th to be exact. 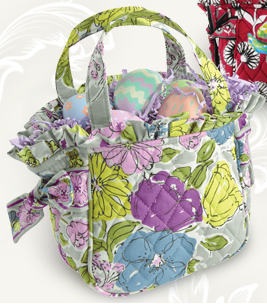 Vera Bradley put together a Celebrate Mom catalog to check out. Lots of get items for Mom! Plus right now they are offering $5 shipping on online orders now through Sunday, May 1st. Guess where I went today?? The Vera Bradley Signature store in Columbia, MD. Yesterday I was going to meet up with some of my Vera friends and to go the VB store in Tysons, but I had to get up at 3:30am so that I could head out to work at Walk MS in DC. (It rained all day, but we still had a great event!) There were thunder storms in the afternoon and between that and getting up early I wasnt up for driving to Virginia. We will have to give that a try another time. 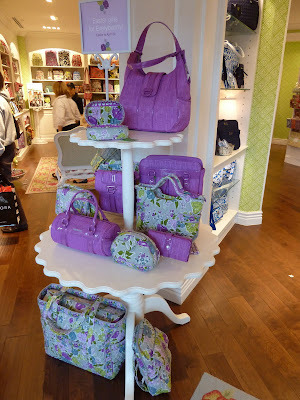 Today the weather was much better and I need to make sure that I returned my Simply Violet Angle Tote before SV retires. Mission accomplished. Although, I wish I would have had a receipt for it, because the tax in CA is higher than MD, so I didnt get as much money back...oh well, it wasnt probably that big of a difference. I also wanted to see Oh My Vera! readers Anna and Stephanie who work there, but neither of them were working today. So they will have to settle for a shout out! Hi Anna and Stephanie! I didnt buy anything today. I kind of want a Vera Vera Convertible Tote in navy and they had one, but I decided to pass. I think that I want to buy a bike...yep you heard my right, I think that I want a bike so that I can use it to get around DC. My roommate and coworkers are bike, so it would be great to be able to join them. Plus I live a little ways away from the Metro and it would be great to be able to take my bike instead of having to plan my evenings around shuttle and bus times. So even though I have a credit at VB, I still think that I am going to wait to use it. I am in savings mode. Check out my pictures below from today's trip to VB! I can't wait to go check out my other local VB in Tysons. Maybe we can plan something ahead of time and we can do some sort of meet up! The store is kind of on a corner, so I walked across from it to get a good picture. Here is another picture of the front of the store. The front door is just around to the right. 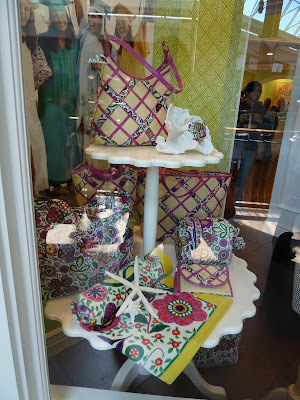 They had great displays in the window. This was one of the window displays. I'm still not a fan of the straw bags, but they did have a nice display for them. They are bright and fun, but I guess they just arent for me. They had some of the City Look bags out of display. This collection I havent heard much about. They had it in the store, but they dont have it online, so I am still not clear of if it has been launched yet, but since it was in the store, I guess it was. It really is the perfect compliment to Watercolor. When you walk into the store to the right they have some displays of newer style bags and to the left they have all of the shelves full of bags. Blue Lagoon is a color that is growing on me. I really like it, but I dont know if it would go with anything that I wear. That is pretty much how I pick my colors, if it goes with what I wear, then it is in! Haha. At least for purses. I dont care as much for the totes and accessories. The women were really friendly and helpful. 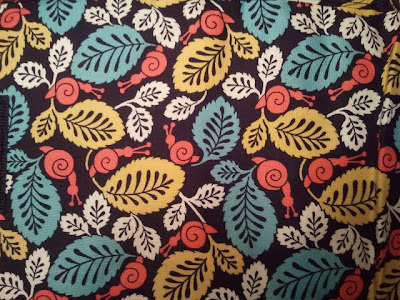 My return was super easy and I am excited to use it when then Fall 2011 colors come out! I will definitely be back to the Columbia store! Plus it is in a really nice mall that had stores that I would normally shop in. Good find! Ventured to Columbia,MD today and they have the Little Princess purses set up. They are soooo cute! 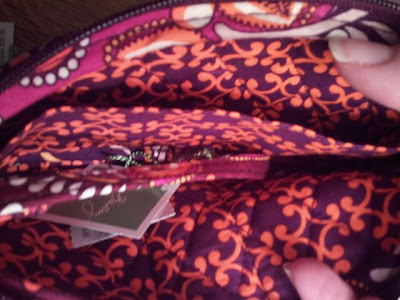 Vera Bradley must feel bad for those of us that can't make it to the outlet sale! Online today they are offering up to 60% off a few styles. Plus free shipping for online orders over $75! You can CLICK HERE for the sale landing page to see the list of special sale items. PS I love Gabby! I have two of them! Great hand held bag that still has a lot of room. Looking for something for your Little Princess...well look no further! Vera Bradley will have a limited edition Little Princess purse available from April 14th to April 24th for $24. 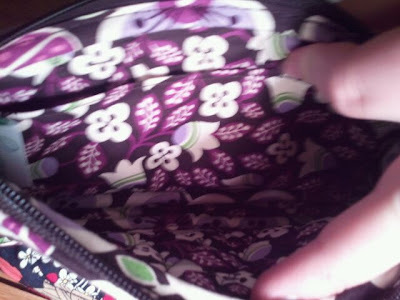 I already have my eye on one, but my only friend with a little girl has a 5 month old...is that too young for a Vera Bradley bag?? :) So tempting. They are available in the 4 Summer 2011 colors! They are avaiable at Vera Bradley stores and retailers. Also make sure to check them out on facebook and twitter since they are posting pictures and updates through both of those! A while ago I posted about purchasing an Emily Tote on ebay. You can read that post by clicking here. If you have read it you might recall that there was a baseboard in the bottom of the tote covered in Americana Red fabric. 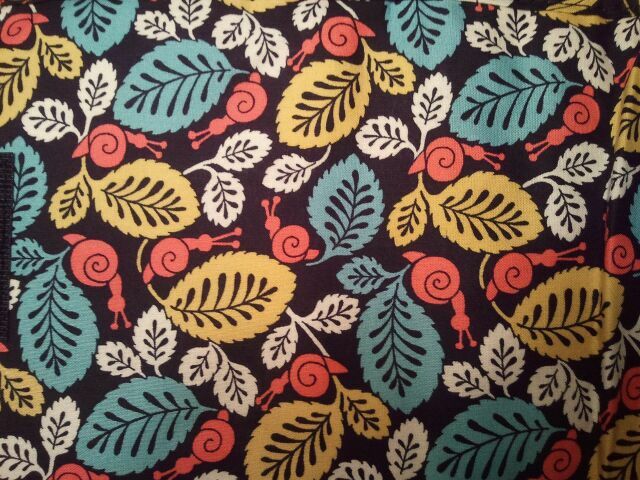 One of my readers, Jenn, said that she would love to have the fabric, so I mailed it to her. I got this little surprise in the mail right before I moved! It literally arrived the last day I was in my old place. She made this really cute flower out of the material! I LOVE it! I can't wait to wear it. I have a bunch of navy blue stuff that I think that it will look great with! She even suggesting putting a hair tie through the pin part to wear it in my hair. She does sell them, although she has limited Vera Bradley material. If you are interested you can email her at jlucrosby@msn.com. Make sure to tell her you read about it on the blog! I have the best readers! Java Blue backpack at Walk MS! Visit www.msandyou.org/walk for more info!